I’ve been getting close to the edges of physician burnout as a PCP the past few years. Since I plan to continue practicing for several more decades, burnout is something I want to make sure I take steps to avoid. Mukherjee then nicely brings in Viktor Frankl’s “Man’s Search for Meaning” - another of my favorite books. How do we find meaning in our lives? Mukherjee concludes that he thinks he (and some of his colleagues) may have avoided burnout through delving deeper into their specific niches — for him, that is as a researcher/writer in the oncology field. He is not doing paperwork and typing notes all day — which is how a lot of my time is spent as a PCP. He suggests that instead of backing away when we start to experience burnout, what about burning more? Are there ways we can actually deeper into them to find more purpose, mastery, and autonomy? Write. Research. Create. How can PCPs find ways to do more of this? There are a lot of things to complain about in primary care. Catch me on a bad day and I’ll be one of the first to name some of the issues I face daily. But, there are also a lot of great things about being a primary care doctor, and expressing gratitude is important. 1. I truly look forward to seeing many of my patients. Yes, having several thousand patients on my panel is far too many, but I do feel lucky to get to know many of them and truthfully enjoy many of our meetings. 2. I get to take people off of medications. Many people come to me on a long list of medications. Some may be needed long-term, but some can often be discontinued once we work on addressing underlying causes. 3. I get to talk a lot about food as medicine. Our food and lifestyle choices have the power to lead to disease or to optimize health, and I see people reverse diabetes, lower blood pressure, and improve cholesterol levels without medication. 4. I get to see a newborn and 97 year old in the same day. Being the doctor for people through all phases of life means moving from infant development to erectile dysfunction to menopause to depression to end of life care all in one afternoon. It doesn’t get boring and I’m always learning something. 5. I get to see the big picture. Healthcare these days is frustratingly fragmented with doctors assigned to each body part or organ. But as the family doc, I pull together the constellation of symptoms, specialist input, studies done, and patient goals and desires to help come up with an overarching plan towards better health. This post was originally posted at San Francisco Moms Blog. As a primary care doctor, I think about my patients’ microbiomes all the time. As a medical liaison at uBiome, which is the leading microbial genomics company in the industry and a startup based in San Francisco, I help study and identify relevant microbes for people’s health. As a mom, I deal with microbes every day in and on my kids! The more I learn, the more I realize that we moms have a lot of reasons to thank bacteria. From the day our babies are born, microbes live in and on our babies, providing important immune functions, essential nutrients, and protection from disease. These “good bacteria” are not only essential to digestive health but to overall health as well. Day by day, these microbes grow, and as our babies grow up, these microbes will play really important roles in their digestive health, including their risk of becoming obese and having diabetes, their risk of cancer and heart disease, and perhaps even their mood and happiness levels. If we think about it, as we raise our children, we are also raising trillions of bacterial species. Infancy and the first couple years of life could arguably be the most important time for establishing this important microbiome. Start thinking about it during pregnancy: A woman’s microbiome is not something to which her OB-GYN will be giving much attention but an expecting mother SHOULD! A pregnant woman’s gut microbiome, as well as her vaginal microbiome, change throughout pregnancy and can be impacted by her hormones, as well as her diet and the medications she takes. It’s even thought that vaginal microbiomes are associated with fertility and preterm birth risks. Mom’s microbiome will be providing the first seeding of baby’s microbiome… a very important job! Consider your baby’s birth experience: The baby’s birth exposes him or her to the first microbes. A vaginal delivery exposes the baby to the mother’s vaginal flora, helping establish healthy flora that protect the intestine and help baby digest milk. Cesarian births expose babies first to skin and environmental flora. 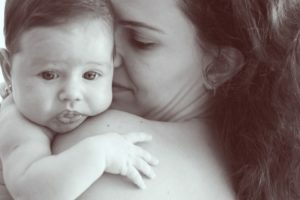 Studies suggest that it could one day become common practice to wipe down c-section babies with mom’s vaginal flora. Feed breastmilk: When it’s possible, breast is best. This study recently published in JAMA shows the importance of breastfeeding to help with seeding the infant gut with beneficial bacteria. Breast milk contains important prebiotics (food ingredients that promote the growth of beneficial microorganisms) called human milk oligosaccharides (HMOs) that help healthy bacteria grow in the infant gut. Breast milk is not sterile but actually contains a lot of beneficial bacterial in addition to antibodies important for immune health. Think about baby’s diet: As your baby grows and begins eating solids, what he or she is fed really matters. This recent article shows how quickly and significantly diet impacts the microbiome. Feeding kids plenty of whole foods with fiber, veggies, fruits, and nuts, and avoiding sugars and processed foods, is hugely important. Consider giving probiotics: For some babies, there may be some benefit to giving infant probiotics. Evidence supports this particularly for colic, reflux, or constipation. Once kids start solids, foods with natural probiotics, like yogurt, are a great addition to their diet. Avoid Antibiotic Overuse: Antibiotics can be life saving when used in the right situations. We’re also learning more and more about the potential dangers of antibiotic use and how they can damage our healthy microbes. Their use should be limited to those times when they are truly needed for a bacterial infection. For those times when antibiotics are needed (and yes, there will likely be those times at some point! ), focus on replenishing gut flora with prebiotics and probiotics. Don’t keep your kids too clean! Playing outside and getting hands dirty is important! Exposure to petshelps establish beneficial bacteria that have been shown to be negatively associated with allergies and eczema. Studies have shown that simply owning a dog has an impact on the shared microbes between people living together. If you don’t have a pet, find friends who do! If you want to find out more about the health of your baby’s microbiome, you can! You can even monitor your baby’s microbiome over time, such as before and after a dietary change or a course of antibiotics. Every day we’re learning more about how your babe’s microbiome affects long term health. I’m excited to share more on this in the future and in the meantime, don’t forget to care for your baby and your trillions of microbes! A version of this post was originally published at KevinMD. It's easy to forget how lucky I am to be a family medicine doctor. To see both a 2 day-old newborn and a vibrant 97 year-old on the same clinic day. To see multigenerations of families. To help make healthy changes in people's lives and see how that plays out over time. Instead, it's easy to feel overwhelmed with the day-to-day drudgery of primary care. The rushed visits, the paperwork, the time spent documenting, etc. I knew exactly how they felt: why would we choose to go into a field where physicians are undervalued, underpaid, buried under administrative paperwork, and where patients do not get the time or attention that they need? Despite the warnings against it, I am pursuing family medicine as a career. And I am not alone: more medical students are doing the same — the numbers matching in family practice went up 11% from last year. Why? Because we know primary care needs to be better and we want to help change it. Primary care challenges us to master the full breadth of medical knowledge. 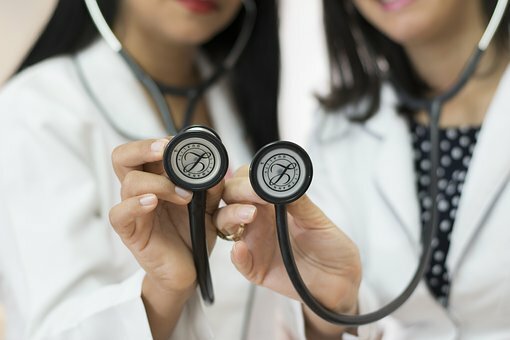 With humility, intelligence, and an appreciation for physical, emotional, and spiritual health, more medical students are aspiring to be complete physicians for their patients. Primary care is difficult to access in our current system, and patients want a doctor who understands them and can be “their” doctor. 1. Change. Family medicine will be leading the implementation of vitally needed changes ahead. As primary care becomes central to our healthcare system, family physicians will be part of new and more effective models of care, such as the patient-centered medical home (modeled by systems like Kaiser Permanente and Geisinger), accountable care organizations, and the growing numbers of direct-pay practicespopping up across the country. 2. Prevention. The focus of our healthcare system must shift away from costly procedures and treatments and towards simple and cost-effective lifestyle changes to prevent many of our modern afflictions (cancer, heart disease, obesity). Primary care physicians are leading the effort to emphasize prevention over cure. 3. Innovation. New technology and social media tools have the potential to radically improve communication, medical treatment, and patient-education. While the current model is failing in many ways, primary care is thirsting for new ideas and innovations to facilitate their work (such as virtual doctor visits and smartphone apps to monitor patients’ blood sugars and weight). 4. Relationships. Family physicians create and sustain the health habits of our country through the relationships they cultivate with individuals, families, and communities. Despite the exponential growth in technology, effective doctoring starts with the basic human-to-human relationship, and changes happen through these relationships. 5. Health-equity. Family physicians are deeply committed to caring for vulnerable and underserved populations. Our challenge lies in designing a system that provides accessible, equitable, and affordable health care to all people, from inner city refugee populations to remote Native American reservations. 6. Value and centrality to system. As the value given to primary care increases, family medicine will no longer be a field people go into because they don’t have high enough board scores to take the “R.O.A.D. to success” (Radiology, Ophthalmology, Anesthesiology, Dermatology). Rather, family medicine will be what medical students go into because they are at the top of their class. They are drawn by the responsibilities and challenges of handling a medical career central to the healthcare system. 7. Teamwork. Family physicians get to interact with a large team of people to improve patient and population health: nurse practitioners, physician assistants, health educators, policy-makers, researchers, nutritionists, physical therapists, and more. Through consistent and long-term relationships with patients, primary care physicians see changes over time, determine when to refer patients to a specialist, and provide preventive treatments that limit future costly procedures and hospitalizations. The entire medical system relies on them. Many of us came to medical school driven by ideals and passion. Family medicine allows us to transform our idealism into reality. That’s the kind of revolution we want to join.